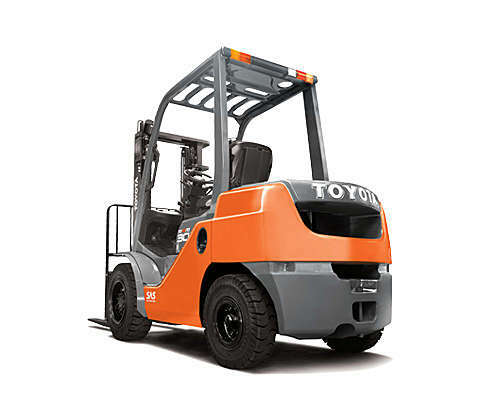 Toyota Tonero counterbalance trucks are available as diesel or LPG models, with torque converter or hydrostatic transmission. Suitable for light to heavy-duty operations, these powerful trucks offer unmatched stability, exceptional productivity and all-round visibility. All Tonero models up to 3.5 tonne are available with hydrostatic transmission as an alternative to torque converter. A hydrostatic transmission (HST) improves manoeuvrability and enables quick changes in direction, powerful engine braking and acceleration. While torque converter transmissions are ideal for longer travel distances and smooth overall driving. Designed for intense applications, the high-tonnage Tonero models are equipped with a durable chassis and powerful Toyota engines for maximum performance. These reliable trucks come with an industrial LPG or diesel engine compliant with stage IIIB emission regulation and are easy to service. 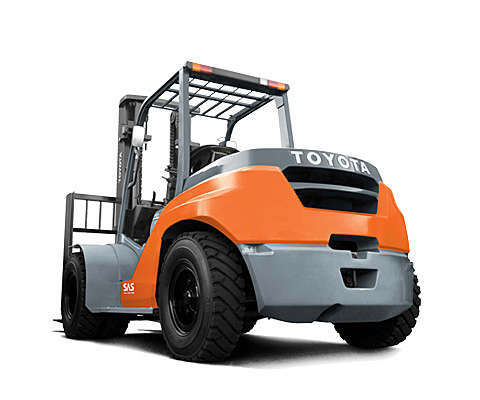 We also offer engine-powered forklifts with cushion tyres for narrow indoor operations. 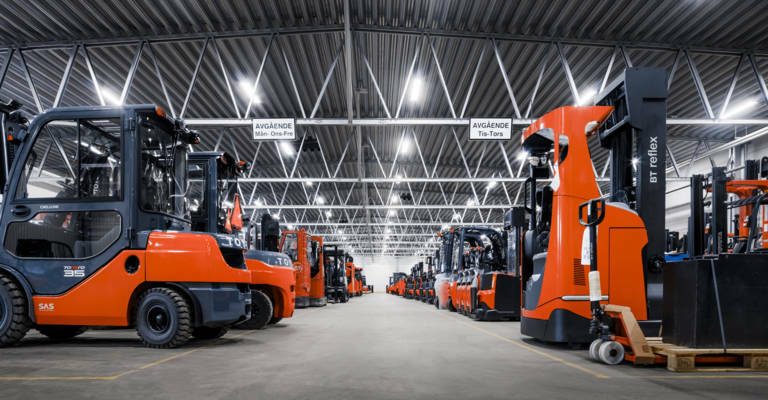 What is stage 5 for engine-powered forklifts? Stage V, or Stage 5, is the new European Emission Regulation for Non-Road Mobile Machinery, including forklift trucks (2016/1628/CE), which came into force on 1 January 2019. The purpose of Stage 5 is to reduce the emissions from combustion engines by lowering the limit of exhaust levels of diesel and gasoline (LPG) engines. What do I have to do as a customer? We made sure our engines are compliant, offering you Toyota quality and performance as always, with the lowest impact on total cost of ownership (TCO). Toyota Material Handling continues to work with Toyota engines that offer all advantages regards to durability, parts availability, ease of serviceability, and many more. Contact your local Toyota sales representative for more advice on choosing the right forklifts for your application. We help you to find the perfect truck, whether it is new or used. Boost your business with quality used trucks.